BINT has won the compitition for a new harbour center in the Amstelkwartier Amsterdam, a new hotspot near the Amstel river! A few minutes by boat from the canals, a new marina is developed with one hundred berths and excellent facilities. 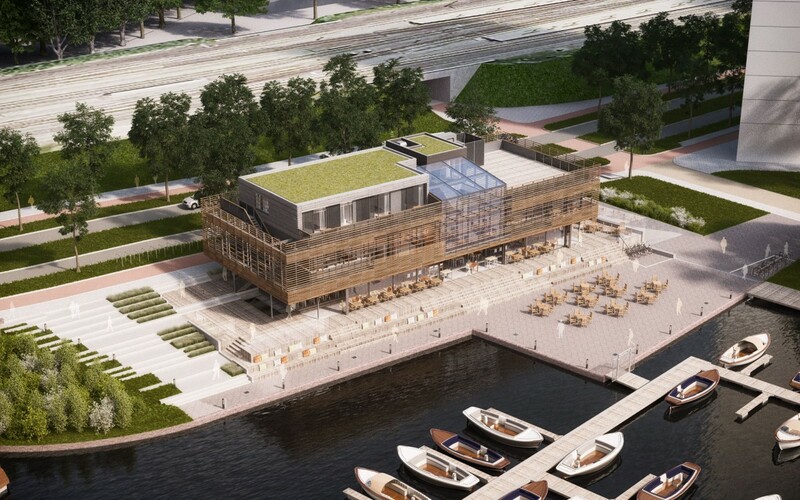 A new contemporary pavilion and terrace will be developed with stunning views over the Amstel River. The marina and the future pavilion will be centrally located in the city park in Amstelkwartier, Amsterdam. Go to the project page for more information. Posted in Architecture Prices .